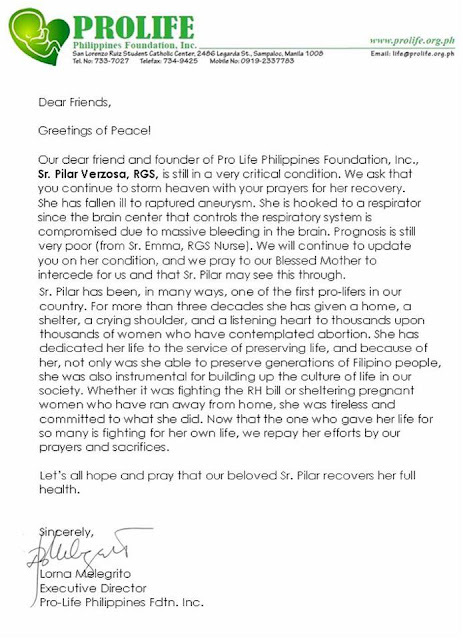 UPDATE: Sr. Pilar has died. She passed away at 4:44 A.M. on September 9, 2012. 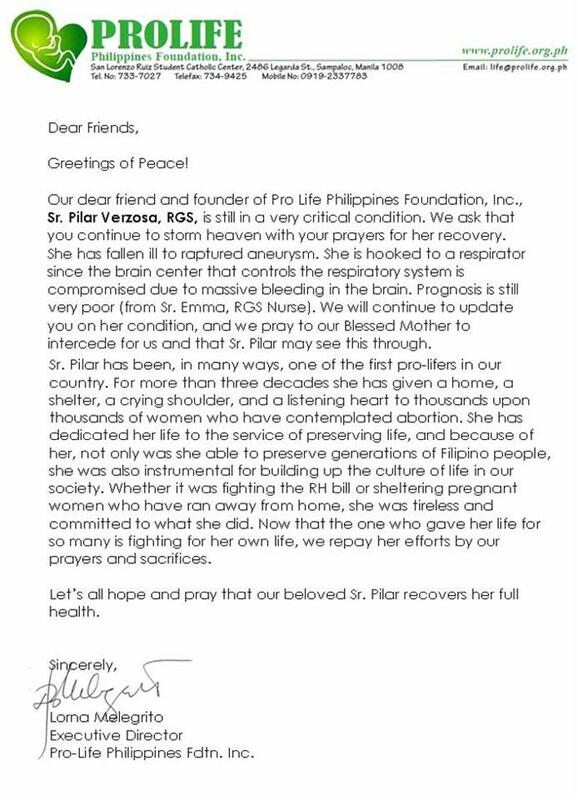 Let us pray for her eternal repose. Requiem æternam dona ea, Domine, et lux perpetua luceat ea.